You have a great chance to get the Jobs in Mir Chakar Khan Rind Sibbi MCKRU University this year 2019, If you are interested to get the job in Sibbi MCKRU University then you should wait anything else you just readout the eligibility criteria and just check the dates and schedule, if you are fulfilling the eligibility criteria then you must apply within due dates because after the due dates application form will not be considered. The Jobs 2019 of Mir Chakar Khan Rind Sibbi MCKRU University are announced and the university official department has assigned the National testing service NTS to arrange the Test for their recruiter that they announced recently, So first you must apply to the NTS to clear the test for these jobs. Once you will apply for the NTS test then NTS will setup the the candidates Lists after the evaluation of application form. If your name will be appear in the candidates lists then you will be get the roll number at your residential address. But you must download the application and fee deposit slip then you must pay the fee to the bank that is mentioned in the nts accepted banks then you must attach copy of deposit slip along with application form and also attach the attested testimonial (degrees and certificates) Copy of CNIC 4 photographs as well. Once you will applied for the NTS Test of Sibbi MCKRU University Jobs 2019 then you should start the Preparations for NTS Test to clear the NTS Test, So we are proving you the Online MCQs test preparations that are made according to the nts test syllabus and pattern as well. Online test preparations are updated at this page all the test are following. Higher Education Commission eligibility criteria for appointment in the relevant faculty positions under BPS is available at HEC Faculty Criteria Page. 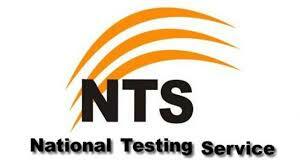 GAT (subjective) test for the Positions of Lecturers, will be conducted by National Testing Service (NTS). Candidates who have qualified NTS (GAT) Subject with 60 % marks shall be exempted from the recruitment test subject to submission of a valid result card issued by the National Testing Service (NTS).